Thanks (for your cont. supports) & sorry (for the wait)! Here’s some catch up for Velocity 2nd wave of opening promotion if you miss the first wagen. Yes, the traffic could be really really challenging having 3 shopping malls (incl IKEA) around the corner. ALL participating outlets will run their exciting promotions on their International Day, 16th March (Thursday) ! Participating Western Cuisine outlets will run their promotions during the Western Weekend, 17th – 19th March. Participating Asian Cuisine outlets will run their promotions during the Asian Weekend, 24th – 26th March. Participating Japanese and Korean Cuisine outlets will run their promotions during the Japanese-Korean Weekend, 31st March – 2nd April. 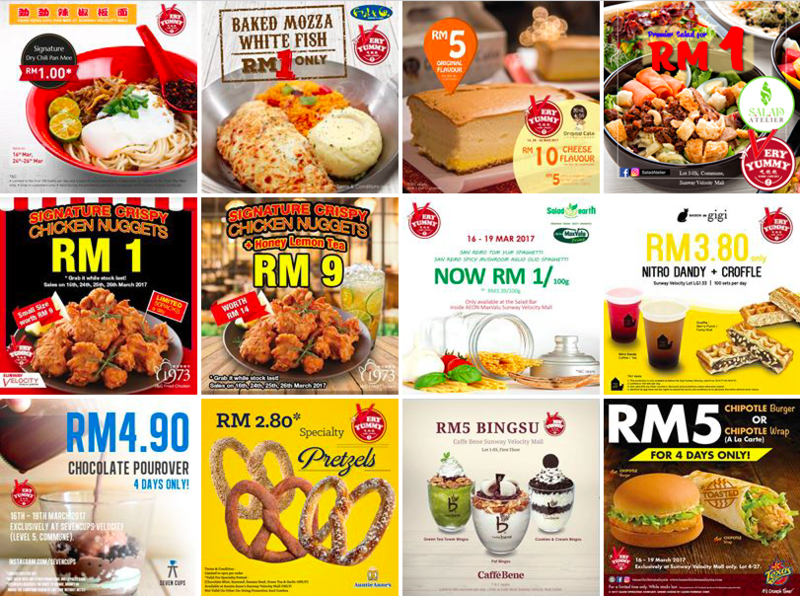 This entry was posted on Monday, March 13th, 2017 at 6:55 pm	and is filed under Bakery, Cafes, Fast Food, Food Promo, Heavenly Klang Valley Food, Local Cafe, Set Breakfast, Set Dinner, Western Restaurant, set lunch. You can follow any responses to this entry through the RSS 2.0 feed. You can leave a response, or trackback from your own site.